Saudi Arabia announced this week that King 'Abdullah has appointed Prince Muqrin bin 'Abd al-'Aziz Al Sa'ud* as the kingdom's deputy crown prince. 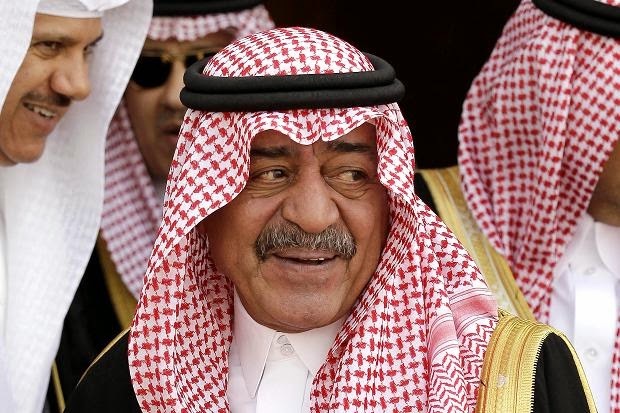 Muqrin now is second in line for the Saudi throne following the death of the current King, his older brother 'Abdullah. 'Abdullah is now 89 and in poor health. When the king dies, he will be succeeded by another brother, Crown Prince Salman. Salman is now 78. I think it safe to assume that it will not be long before King 'Abdullah passes and Prince Salman ascends to the throne. At that point, Prince Muqrin will become the crown prince. Muqrin, at age 68, is the third youngest son of the founder of the Kingdom of Saudi Arabia, 'Abd al-'Aziz Al Sa'ud - and the youngest surviving son. Muqrin is a former captain in the Royal Saudi Air Force - an F-15 pilot - and was recently the chief of the Saudi General Intelligence Directorate (the "mukhabarat"). During his tenure at GID, Saudi Arabia defeated an al-Qa'idah insurgency and drove the militants out of the Kingdom (most went to Yemen). The prince is hawkish on Iran and has encouraged the United States to take a harder line with Iran and the Shi'a state's ambition to develop a nuclear weapons capability. When the kingdom was founded in 1932, King 'Abd al-'Aziz established the succession to be among his sons, from brother to brother, not from father to son. Normally the oldest surviving son was the first choice, but not always. When kings have died, the surviving sons of King 'Abd al-'Aziz have gathered and selected the new king by consensus. This system has been in place since the death of King 'Abd al-'Aziz in 1953. With 37 sons that reached adulthood (there were 45 total), there did not seem to be any urgency to provide for further succession. However, since the youngest of the surviving sons, Prince Muqran, is now 68 years old, the family will need to come to terms with selecting a monarch from the next generation - that may cause divisions in the family. There are already rivalries among the various groups based on their different mothers - 'Abd al-'Aziz had 22 wives. Given the close relationship between the United States and the Kingdom of Saudi Arabia over the past 70 years - although somewhat strained during the Obama years - it is in America's national interest that there continue to be smooth transitions of power in Riyadh. The Saudi leadership and the Obama administration have differing thoughts on the issues of Iran, Syria and Egypt. To address the succession issue, in 2006 King 'Abdullah created the Allegiance Council, comprised of 35 princes charged with determining, in consultation with the king, the line of succession. With the selection of Muqrin as the deputy crown prince, they have exhausted the supply of brothers, the first generation sons of 'Abd al-'Aziz. Then the real issue will surface - who in the second generation becomes the king following Muqrin? No matter who is chosen from the hundreds of men that make up the second generation - the grandsons of founder King 'Abd al-'Aziz - there will be a power struggle in Riyadh. Hopefully, it can be resolved without lasting damage to the monarchy and threatening the stability of the Kingdom. A pardon for Jonathan Pollard - a bargaining chip? Note to my readers: This will be short and to the point. You all know my thoughts on Jonathan Pollard (I have provided links to my previous articles on him below). He is a traitor to this country - he spied for a foreign power and did irrevocable damage to the American intelligence system. The fact that the foreign power is an ally is immaterial. Beyond the fact that Pollard violated his oath of loyalty to the United States - the country for which he betrayed the United States, Israel, is believed to have passed critical intelligence to our enemies. The resulting damage was permanent; the sources and methods Pollard compromised have never been recovered. Unless there is a massive transplant of spine into the current American administration, Pollard will be released to the Israelis in the fall of 2015. He will fly to Tel Aviv to a hero's welcome and live until he dies in the country for which he became a traitor to my country. There is a provision in U.S. law that could require him to remain in the United States on parole for another 15 years, but that won't happen. He would jump parole and flee to Israel - I expect that the Israelis would probably assist him. The specter of the possible release of Jonathan Pollard raises its ugly head yet again, almost on its yearly cue. This time, it is not in response to repeated Israeli requests, but as part of a desperate attempt by the Obama administration to achieve a success - any success - in the Middle East after a series of embarrassing failures. These failures extend former Secretary of State Hillary Clinton's litany of failure into what appears to be the continuing clueless bumbling of current Secretary John Kerry. According to Israeli Army Radio, Kerry made the offer to Israeli Prime Minister Netanyahu in an effort to revive the about-to-collapse Israeli-Palestinian peace talks. The Israelis have balked at the release of the final group of Palestinian prisoners that had been agreed to as part of the continuation of the talks. If the prisoners are not released, the Palestinians will not continue the talks, and John Kerry will suffer yet another policy failure. In exchange for Pollard's release, the Israelis will release 26 more prisoners, and the Palestinians will agree to continue talks until the end of 2014. Let me understand this. We are going to release an admitted traitor to the custody of the country for which he spied, and for that we get an agreement between Israel and the Palestinians to continue talks? That does not seem like a good deal for the United States - how does this further our national interests? It seems that we are doing Israel two favors here, and getting nothing in return - only in John Kerry's mind could this make sense. Of course, Kerry can't make this commitment without the express consent of President Obama - only the President can pardon Pollard. Mr President, keep Inmate #09185-016 at the medium-security Federal Correctional Institution in Butner, North Carolina for as long as possible. I realize that due to a court ruling changing life sentences, he will be paroled late next year - let's not reward him or Israel by releasing him one day early. To do so would be to break faith with those of us who served in the intelligence community. Any short-term gain - which is likely to be short-lived - so that you and Secretary Kerry can claim at least some sort of foreign policy success is not worth releasing an admitted traitor. To my Israeli friends (and I have many): I know we disagree vehemently on this issue. I will not change my mind, nor will I get involved in a drawn-out discussion when we are unlikely to resolve our differences. This is my view - you are free to voice your own. I just will not respond. In the photo above, please note the expressions on the faces of U.S. Secretary of State John Kerry and European Union High Representative for Foreign Affairs and Security Policy Catherine Ashton - this is what "clueless" looks like. 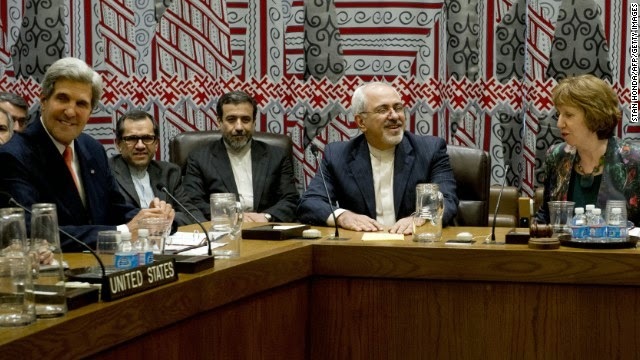 In the middle is Iranian Foreign Minister Javad Zarif - he is smiling because Iran has yet again outmaneuvered the West in its quest for a nuclear weapon. What is distressing is how easily the Iranians are outsmarting Mr Kerry and Ms Ashton. Ashton is also the Right Honorable Baroness Ashton of Upholland, Privy Council (I am not sure what all that means). One would assume that with her resources, she would have learned more about Iranian bargaining. For his part, John Kerry is terribly naive when it comes to the Middle East - if we had followed Kerry's votes in the Senate, Saddam Husayn would still be in Kuwait. Here is an example of Mr Kerry's naivete. After the preliminary deal was struck in November, Secretary Kerry stated that the agreement does not give Iran the right to enrich uranium. The Iranian negotiators returned home and announced that the West had basically capitulated and granted them the right to enrich uranium. Here is a line from the text of the agreement: "Iran announces that it will not enrich uranium over five percent for the duration of the 6 months." If they are permitted to enrich uranium to the five percent level, it seems to me that they now have the right to enrich uranium. What part of that does Mr Kerry not understand? I (along with most of the credible intelligence agencies) believe the Iranians are developing a nuclear weapon, or at least the capability to produce a nuclear weapon. Although that may sound like the same thing, the difference is important. It is important because politicians - most of them lawyers by training - will parse words to avoid making tough decisions and taking appropriate actions. 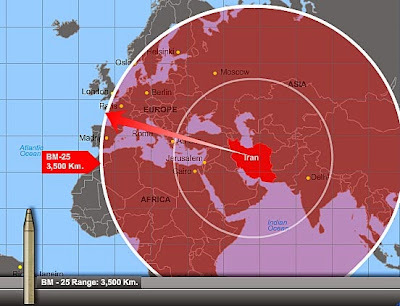 As long as they can say that the Iranians do not possess an actual nuclear weapon, they can continue to ignore reality. The Iranians, for their part, are also playing this game. They are researching, developing and testing all of the individual components required to construct a weapon. Delaying the decision to actually assemble the components allows them and their supporters to claim that they do not possess a weapon. Iran already has delivery systems for nuclear weapons - a large arsenal of ballistic missiles capable of reaching their declared arch-enemy Israel, as well as most of Europe. These missiles are both indigenously-developed and imported from foreign supporters, primarily North Korea. The North Korean BM-25 missile provides Iran its longest reach. Despite their claims that they are developing a nuclear power generation capability, their program does not fit the pattern for that - it is too small for that type of project, but perfectly sized to produce an arsenal of nuclear warheads. Iran does not need nuclear power - it flares off more energy as waste from its oilfields than a program this size could ever produce. Yet, the American administration is willing to give the Iranians the benefit of the doubt. As evidenced by the last two meetings in Vienna - one in February and one just this week - the two sides are no closer than they were in November of last year. All the Iranians have really agreed to is to continue to talk - they will meet again in Vienna on April 7. That has been their position for the last decade. Every time world opinion seems to go against the Iranians and their nuclear ambitions, they agree to yet another round of talks. The result of each of the talks is always the same. They agree that there is an issue that needs to be resolved, and agree to new talks. In all of that time, nothing - nothing - has been done on the part of the Iranians to halt or delay their enrichment programs and acquisition of the capabilities they will need to assemble a nuclear warhead. The so-called agreement reached in November has yet to be enforced. Iranian Foreign Minister Zarif called last week's talks "very successful...in terms of understanding and clarification, Vienna-2 was among our very successful round of talks...extremely beneficial and constructive." That means he was successful in kicking the can down the road, yet again buying more time for the centrifuges at Natanz to enrich uranium. The Iranians are playing us, and playing us well. Secretary of State Kerry is so anxious for a foreign policy success, any success, that he is willing to be played for the illusion of a deal with Iran. We don't need illusions, we need a foreign policy that serves our national interests, and the interests of our allies. A nuclear-armed Iran is in no one's interest. Given this administration's consistent policy failures in the Middle East - Egypt is fast turning to the Russians as we refuse to deal with the new government, Libya is devolving into chaos, Syria is an opportunity lost on several occasions, the Gulf Arabs are questioning our commitment to their security, and Israel wonders if we are still an ally - Kerry is desperate. How about we simply tell the Iranians that we will not permit them to develop the capability to develop a nuclear weapon? The President is always saying, "Let me be clear." Well, Mr President, here's your chance. Wake up. The world's attention is focused on two major stories: the mystery of Malaysian Flight 370, and the likely Russian annexation of the Crimean peninsula from Ukraine. The Russian actions in Ukraine are not an isolated event - the Russians under President Vladimir Putin are in a resurgence mode, fueled by the imperial dreams of the former Soviet intelligence officer now president, and vast amounts of oil and natural gas revenues. Putin's imperial dreams extend beyond Europe - let's look at what the Russians are doing in the Middle East. Let's also keep in mind that the Russian actions are directly related to how Putin views the United States and what he perceives as a weak American administration that is not likely to challenge him. Let's look at Egypt as an example. My apologies up front - in the interest of brevity, this is a greatly condensed account of a very complex situation. Following the removal of Husni Mubarak in 2011, the Egyptian people elected Muslim Brotherhood member Muhammad Mursi a year later in what was judged to be a free and fair presidential election. Mursi began to transform Egypt into a much more Islamist state, triggering massive popular demonstrations in 2013, in what was almost a repeat of the 2011 demonstrations in Cairo's Tahrir Square. At one point, 22 million people - well over a quarter of the entire population - actively protested the Mursi government. Here is where it gets interesting. Sensing the danger to the fragile new Egyptian democracy, the chief of the armed forces General 'Abd al-Fatah al-Sisi gave President Mursi an ultimatum: respond to the people's demands for change or face removal. Mursi refused - on July 3, 2013, General al-Sisi removed President Mohamed Mursi from power, suspended the constitution, and called for new presidential and parliamentary elections. For all practical purposes, and in the U.S. government's view, this was a military coup d'etat. The United States, citing the Foreign Assistance Act of 1961, cut off all aid, including the annual $1.5 billion in military assistance. Although the President had the authority to waive the requirements of the law, he chose not to do so and applied sanctions on the interim Egyptian government. The United States still maintains those sanctions on Egypt. The Egyptian military has had to ground many of its Apache helicopters and F-16 fighter-bombers when they are needed to fight a growing Muslim Brotherhood insurgency in the Sinai Peninsula. I visited Cairo late last year and discussed this with senior Egyptian officials, including General (now Marshal) al-Sisi. The general explained Egypt's position - it was not in fact a coup d'etat, but merely the armed forces executing the will of the people. I tried not to smile.... I sympathize with the Egyptian armed forces and applaud their actions, but, sorry, General, it was a coup. I have to call it what it is. Now for the unintended consequences. Not one week after the delegation of which I was a part departed, the Russian Foreign Minister and Defense Minister arrived in Cairo with an initial offer of $2 billion of military equipment to offset the loss of American aid. The package included the multi-role version of the MiG-29 (FULCRUM), the excellent S-300 (SA-20) air defense system and what Cairo regards as critical, Mi-35 (HIND E) attack helicopters, in addition to a host of other equipment. That package has grown to at least $3 billion. Who is paying for all this Russian hardware? 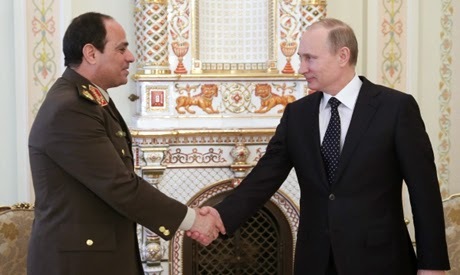 Is Vladimir Putin so interested in reclaiming the former Soviet Union's Cold War role as Egypt's primary weapons supplier that he is willing to foot the bill? Hardly. Saudi Arabia and the United Arab Emirates have offered to finance the deal. Yes, Saudi Arabia, who is at odds with Moscow over Russian support for Syrian President Bashar al-Asad. Saudi Arabia is one of the major supporters of the Syrian opposition. Politics, and weapons sales, make for strange bedfellows. According to other press reports, Saudi intelligence chief Prince Bandar bin Sultan (former ambassador to the United States) offered to buy $5 billion worth of Russian weapons if Moscow would stop supporting the al-Asad regime. Moscow signed a $4.3 billion arms deal with Iraq. While that sounds huge, Iraq has ordered about $10 billion worth of military equipment from the United States in the last few years. Moscow hopes to boost its weapons sales in the Middle East to upgrade its struggling defense industry with a 10-year, $755 billion spending program. Russian President Putin senses that the reticence of the American administration to maintain its leadership role in the region and as Egypt's primary supporter provides an opening for Russia to regain what it perceives as its rightful place in the Middle East. The Russians are coming, and we are doing very little to stop them. 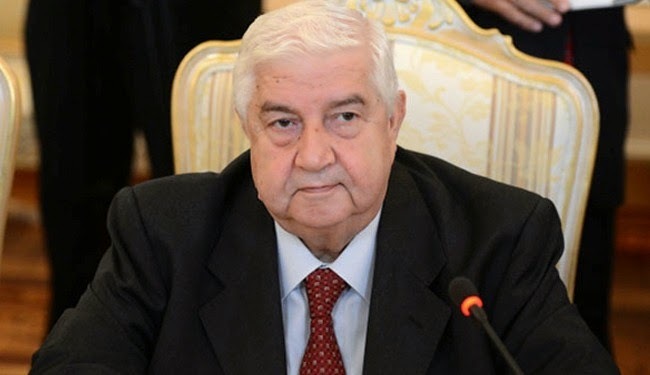 Syria’s Deputy Prime Minister and Foreign Minister Walid al-Muallem (وليد المعلم - more accurately, Mu'alim, but I will go with the common transliteration) underwent successful heart by-pass surgery at "a Beirut hospital," according to SANA, Syria's state-controlled news agency. I note that SANA chose not to mention that "a Beirut hospital" was in fact the American University of Beirut Medical Center - we had to learn that from Lebanese media. SANA also opted not to explain why the minister chose to go to an American-affiliated institution in another country. Walid Muallem, who is 73 years of age, is a career diplomat in the Syrian foreign service. That career includes a ten-year stint as the Syrian ambassador to the United States from 1990 to 2000. He played a role in Syria's decision to support the U.S.-led coalition against Iraq's invasion and annexation of Kuwait in 1991. 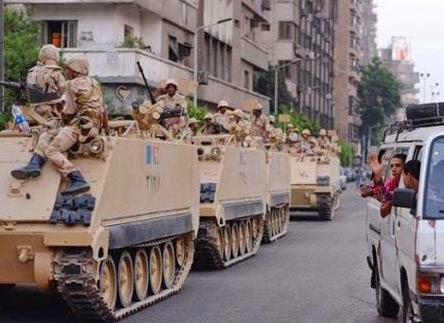 Syria provided its 9th Armor Division to that effort (the American portion was Operation Desert Storm) - the division fought in Kuwait as part of a combined corps with two Egyptian divisions. Earlier in his career, Muallem also served at Syrian embassies in Tanzania, Saudi Arabia, Spain, England and Romania. In 2000, Muallem returned to Damascus to assume the position of assistant foreign minister, and was named deputy foreign minister in 2005 with instructions from President Bashar al-Asad to handle Syria's badly battered relations with Beirut in the aftermath of the assassination of former Lebanese Prime Minister Rafiq al-Hariri - believed to be the work of Hizballah at Syrian intelligence direction. He became foreign minister the next year. Muallem is a Sunni from Damascus. He is a close advisor to President Bashar al-Asad, but since he is not a member of the 'Alawi sect or al-Asad clan, he is not a real insider. Bashar trusts him and values his counsel - he chose Muallem to lead the Syrian delegation to the United Nations-hosted talks with the opposition in Geneva earlier this year. I have met Muallem on a few occasions when he was the ambassador to the United States, both in Washington and in Damascus. I spent several hours with him in 1994 during one of the visits of U.S. Secretary of State to Syria to meet with President Hafiz al-Asad. During this particular visit, the Syrian president was staying at his palace in his family home city of Qardahah, in the hills overlooking Syria's Mediterranean coast about 150 miles north of Damascus. The secretary and his delegation flew into Damascus for meetings with the American country team at the embassy, then flew to Humaymim air base adjacent to the airport in Latakia, the major port city a few miles from Qardahah. The U.S. Air Force provided a VIP transport aircraft (a military version of the Boeing 737) for the secretary's use. I took advantage of my position as the air attache to ride in the jump seat in the cockpit - nice to be around American airmen again. Ambassador Muallem and the Syrian foreign minister Faruq al-Shara' met the aircraft at the air base and accompanied the delegation to Qardahah on a Syrian Air Force helicopter. I remained at the base to take care of aircraft logistics and file the flight plan for the return to Damascus after the conclusion of the meeting. After all of the Syrian and American officials arrived back at the base, we loaded all the Americans onto the U.S. Air Force jet - the Secretary of State, the U.S. Ambassador to Syria and all the attending support staff. The aircraft taxied out and took off, heading for Damascus. I looked around and realized I was still at a Syrian air base, alone with only the Syrian delegation. I asked Ambassador Muallem if I could hitch a ride on his aircraft back to Damascus; he laughed and asked if they had forgotten me. 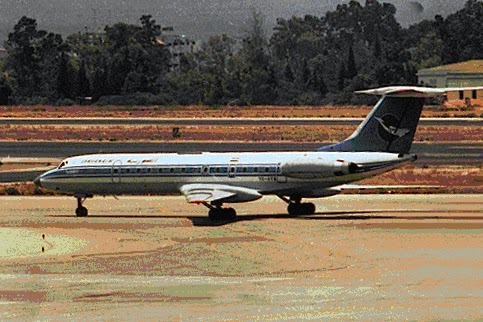 We flew back to Damascus on a Syrian Air Force Tupolev-134 VIP aircraft - nice but not quite up to our standards. The ambassador was gracious and insisted that I join him and his aide in the main VIP cabin. We chatted socially - in Arabic - about our backgrounds and comparisons of living in each other's capital cities. About 20 minutes into the short flight, the aircraft made a right turn onto a new heading. The ambassador looked out the window and asked his aide where we were. The aide looked and said he did not know. I told them that we had just turned over the air navigation beacon at al-Qaryatayn, about 45 miles southeast of Homs. The ambassador smiled and told his aide, "It is interesting that he knows that and we don't." After we landed at the military ramp at Damascus International Airport, he had his aide drive me to the American embassy. Again, gracious and a gentleman. I wish him good health. That said, the deputy prime minister represents a brutal, authoritarian regime. I can only hope that at some point he will decide to become part of the solution to his country's problems. 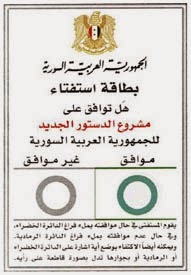 New Syrian Election Law - Mere "Ink on Paper"
The newly-enacted election law in Syria that received a lot of media attention may cause casual observers to take new interest in how politics are played in Syria. Unfortunately, it is merely window dressing - things will remain the same. Last week, Syria's parliament - a virtual extension of the office of President Bashar al-Asad - unanimously approved a change in the the manner in which Syrian presidential elections are conducted. In the future, the names of multiple candidates will be allowed to appear on the ballot, rather than the referendum on the one candidate put forward by the Ba'th Party (that would be Bashar al-Asad). Al-Asad's current (his second) seven-year term expires this summer. The new law codifies a provision approved in the 2012 constitutional referendum. The ballot above was for that referendum - vote "agree" or "not agree." According to a provision in the newly approved constitution, multiple parties are allowed and no party (a reference to the ruling Ba'th Party) is considered the guaranteed leader. As the Arabs say, this is merely hibr 'ala waraq (ink on paper). There is speculation that Dr. al-Asad may run for a third-term - I would say it is a lock: he's "running." I put that in quotes because the mere thought that there is a choice is ridiculous. Technically, the new law also presents a challenge for the incumbent president. Article 88 of the 2012 constitution limits the president to two terms. The exact wording is interesting - it does not literally say two terms, it says a maximum of one re-election. There will no doubt be some legalistic interpretation that will allow al-Asad to run for a third term. Pardon my skepticism, but laws and the constitution are not impediments to the al-Asad clan. When Bashar's father Hafiz al-Asad died in June 2000, the 34-year old Bashar was not eligible to assume the presidency of the Syrian Arab Republic - the constitution stated that the president must be 40 years of age. No problem - the Syrian majlis al-sha'ab (parliament) met in emergency session and within an hour voted to lower the minimum age for candidates from 40 to 34. What a coincidence. In their next action, the majlis appointed Bashar leader of the ruling Ba'th Party and commander in chief of the Syrian Armed Forces. His name was immediately put forward for president, and according to the government, was elected with 97 percent of the votes. In May 2007, Bashar was approved as president for another seven-year term, with the official result of 97.6 percent of the votes. Although this was vote conducted under the previous presidential referendum system with no other candidates on the ballot, I doubt the outcome under the new rules will change. Pundits have cited the Syrian majlis law as a step forward for the country, now wracked by three years of civil war. The rebels celebrated today - March 15 - as the start of the fourth year of the struggle against the regime. A portion of the new law also sets strict residency requirements for candidates to appear on the multi-party ballot - 10 years of continuous residency in the country. Since many of the potential challengers to Bashar have left the country for their own safety, they technically do not qualify to run. I maintain that the election system in Syria is so corrupt that this new law is all show and Bashar al-Asad will be re-elected with the same margins as he and his father have always enjoyed. I speak from experience - I lived in Syria for a few election cycles and saw first hand how it works. Voting in Syria is not like voting in the United States - a Syrian physician friend explained it to me. On election day, he went to work at the hospital and was called to the office of the administrator. In the office were two Ba'th Party "officials," more like thugs, who told him that he was much too busy at the hospital to go to the polls and that they had taken the liberty of completing his ballot for him. They asked if he had a problem with that. He thanked them for their consideration. That's how you garner 97 percent of the vote. If you are a gambler, I would think that the re-election of Bashar al-Asad is a sure bet.